Washita - Your one-stop shop for fun & entertainment!Washita | Your one-stop shop for fun & entertainment! 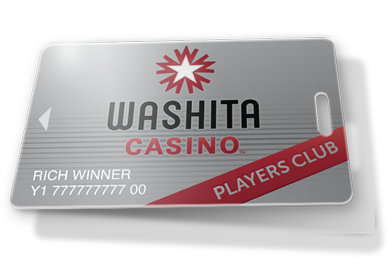 With your Washita Casino players club card you’ll be able to earn entries into our current promotions, and much more! Your one-stop shop for fun & entertainment! When you’re traveling on I-35 and are in need of food, fuel, and fun, Washita Casino is the place to be! Located conveniently off of I-35 at Exit 79, Washita Casino offers over 250 electronic games, Traditions Bar, and a Chickasaw Travel Stop. Swing by today and see why Washita Casino is your one-stop shop in Chickasaw Country. 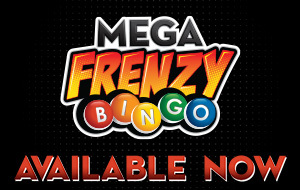 Get in on the action of Mega Frenzy Bingo, the exciting NEW way to play at Washita Casino! Mega Frenzy Bingo is a progressive bingo game that accumulates a progressive prize award from a variety of participating casinos. Every game features a guaranteed progressive jackpot winner, so the more cards that are bought… the higher the final prize!